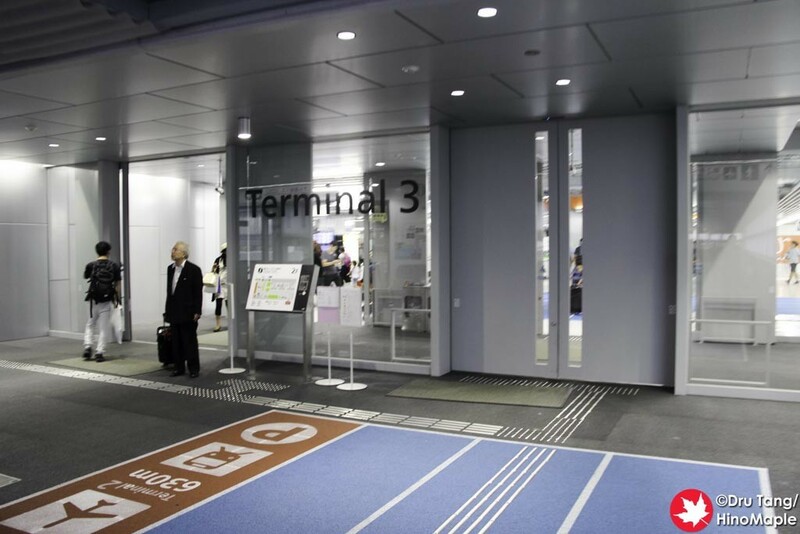 Back in 2015, Narita opened their Terminal 3 building as an exclusive building for LCC airlines. 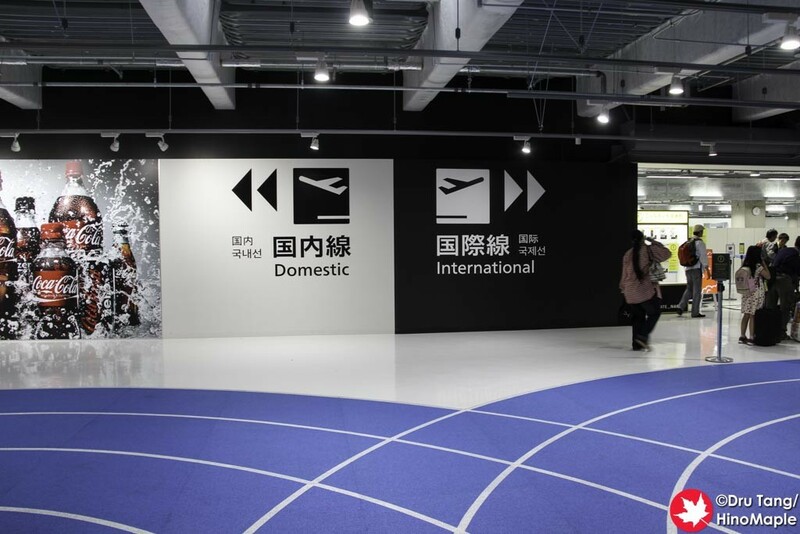 It was a big event as it was the first LCC terminal to open in Tokyo. I visited the LCC terminal back in 2015 and wrote about it in 2016. My experience was only for the public area so I didn’t have any experience about the secure area of the airport, until 2017 when I went to Okinawa via Jetstar. It was a good experience to see what was in the domestic departures and arrivals side of the airport and I’m now happy to tell you all about it. Domestic and International departures and arrivals are separated but they are next to each other. It isn’t difficult to understand what to do as it is the same in all cases throughout Japan and the world. For the domestic departures, the first thing you need to do is get ready for the security screening. I always empty my pockets of change and metal items and just keep my cash inside. I then take off my belt and get my boarding pass ready. When you do line up for security you need to present your boarding pass. If you have an official paper one it is pretty straight forward. With an electronic one they require 2 people to check it. The lines for domestic departures vary from time to time but the line does move pretty quickly. With everything prepared, I was able to get through the line in under a few minutes. If I was the only person in line it would have only taken me 1 minute. 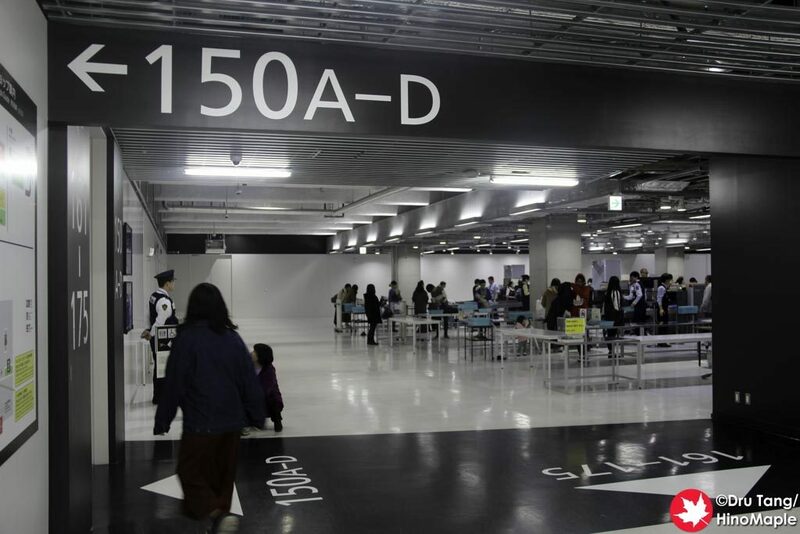 Once you pass security, you are immediately at gate 150. This is probably the worst gate to depart from because you have no amenities, but it is the most convenient. If you are boarding at this gate, be sure to go as late as possible so that you don’t sit around bored. If you are not at gate 150, you have a short 5 minute walk, depending on your speed, to the domestic departures satellite building. You head up to the 4th floor where you cross on a “sky bridge” where planes have the option to pass underneath. You then return back to the second floor for the main departures lounge. The domestic satellite departures lounge is really nice. They continue with the white theme and open spaces. The roof is pretty tall and there is a lot of glass letting in natural light along with the artificial light from the lamps. While I normally don’t enjoy the departures area, this one was pretty good and the seats were relatively comfortable. They have nice bench seats so you could lie down and relax if there aren’t too many people there. The washrooms were also really well made with spacious toilets. It is big enough to bring your luggage inside as well as have enough space to change. I would say that they are so spacious that it puts the international departures toilets to shame. 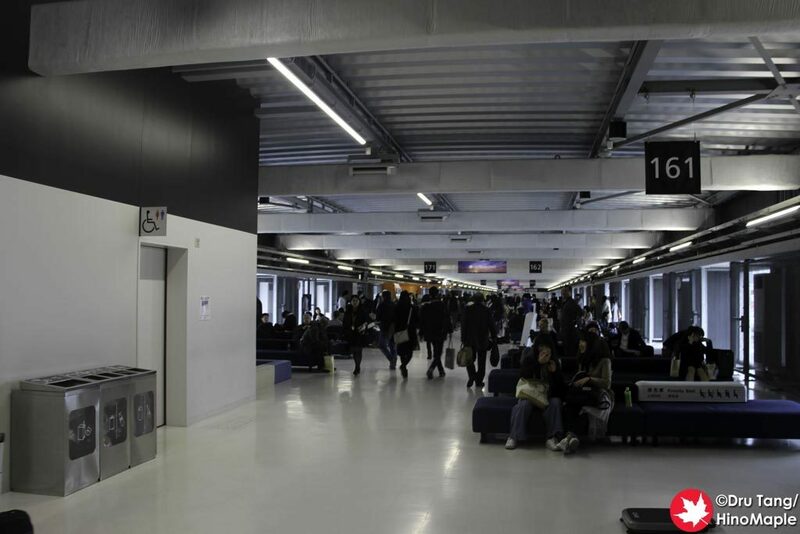 The satellite departures area only has 2 shops. They have a Jetstar Shop and a V Store Vending shop. 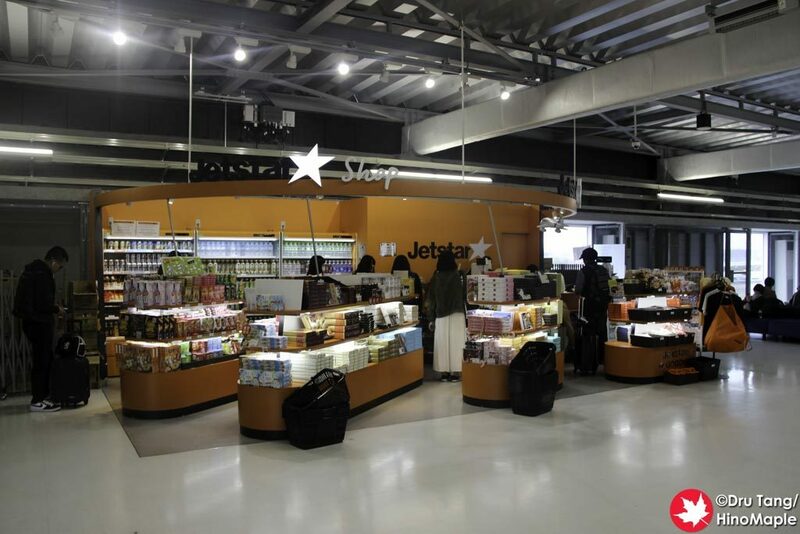 The Jetstar Shop is basically a convenience store with prices higher than if you bought things at Lawson’s before you cleared security. The V Store Vending is just a vending machine area run by Vanilla Air. 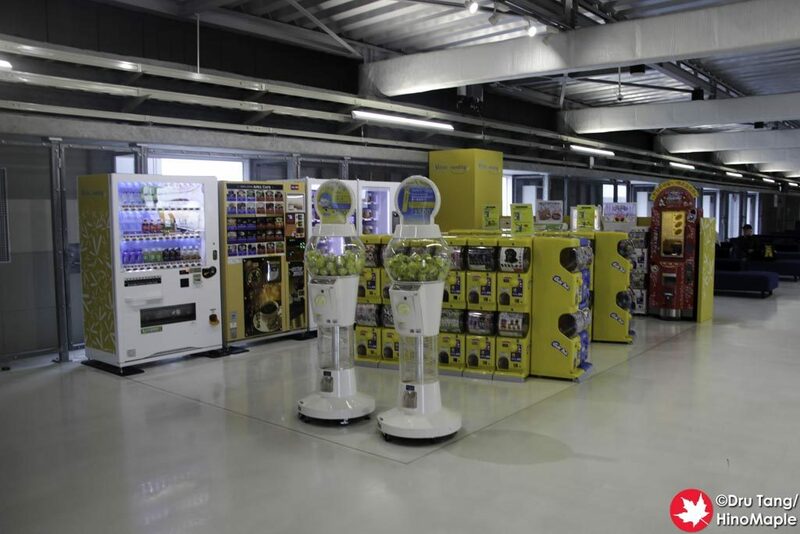 The vending machines have simple drinks and pastries as well as a Gatchapon area where you can buy little toys and trinkets. It wasn’t really good but it was a quiet area of the departures lounge. There is also a small kids area near the entrance to the departures area but that area is pretty busy as most flights will arrive and depart in that area. If you are departing from gates 161-164, you are in luck as you do not have a bus ride to the plane. You basically head down the stairs and onto the tarmac where you head up the stairs to your plane. It is pretty quick and easy to board and you are soon on your way. All other gates require you to be bused to your plane. When you return, it is actually better to be bused in. When you arrive, gates 161-164 require you to walk into the first floor of the domestic satellite departures building and then head up a long escalator to the sky bridge. You walk across it and then back down to the first floor of the main terminal 3 building. If you are like me and you had no luggage to worry about you end up going straight back up to the second floor to the food court in the terminal. It is a lot of up and down to get out of the airport. 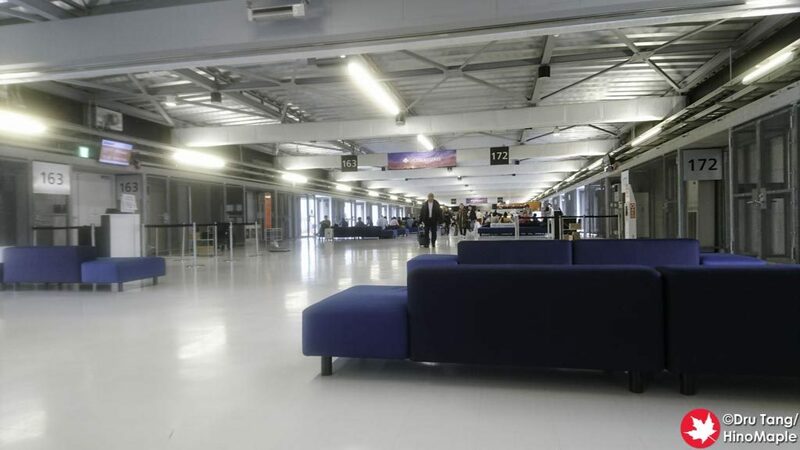 If you are bused into the terminal you go directly to the baggage claim area for domestic flights and it is a quick walk up the stairs to the public area of the terminal and out the door. Being one of the newest terminals in Japan, Terminal 3 at Narita Airport is a great terminal. It is a simple place where you can see that they were thinking a lot about the design of the place. Everything is minimalist and functional. They made the seats cheap and comfortable while also making it relatively easy to maintain. After a couple years of hard use the terminal still looks clean. It is definitely not as shiny as when it opened in 2015 but it is still really good. The system of getting around the terminal and to and from your flights is very smooth and all of the companies seem to have worked out their operations very well. I am still hesitant to fly on LCCs but I do enjoy using Terminal 3 and would gladly use it again for any future flights. 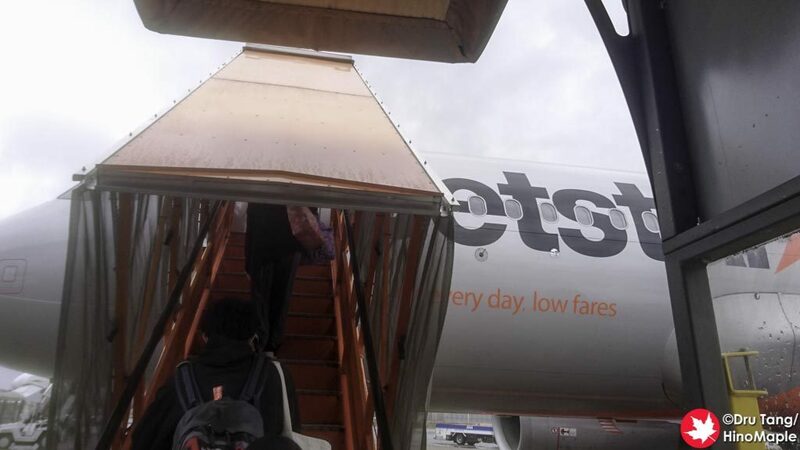 This entry was posted in Planes and tagged Airline, Airplane, japan, Jetstar, LCC, Narita, Narita Airport, Narita LCC Terminal, Narita Terminal 3, tokyo, Vanilla Air by Dru. Bookmark the permalink.